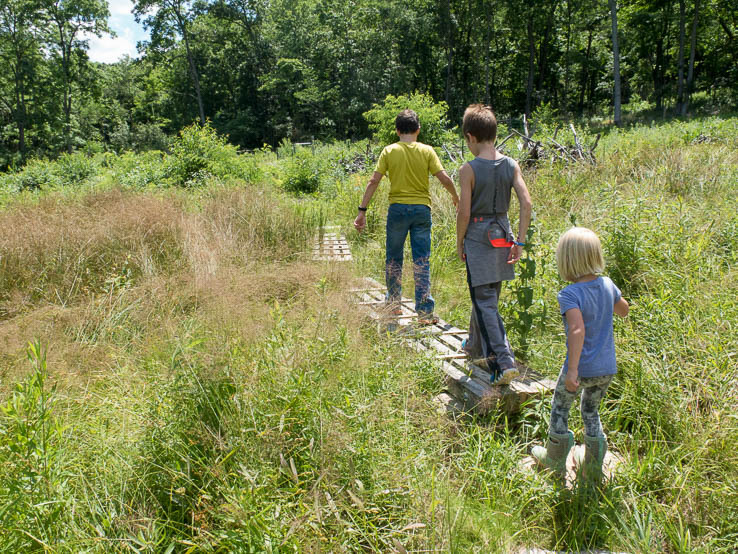 When Mike and Laura Jackson wanted to restore wildlife habitat on their slice of a forested Pennsylvania mountainside, they did something you might not expect. The husband and wife, who live on 114 acres in Bedford County, started cutting down trees. The Jacksons were motivated to drastic action in part by a small gray bird with flashes of yellow on its head and wings. The golden-winged warbler is a migratory bird that breeds in the Upper Midwest and Appalachian Mountains and winters in Central America. Its population has declined by roughly two-thirds in the past 50 years, in pace with the decline of the early successional habitat it needs—a young forest. 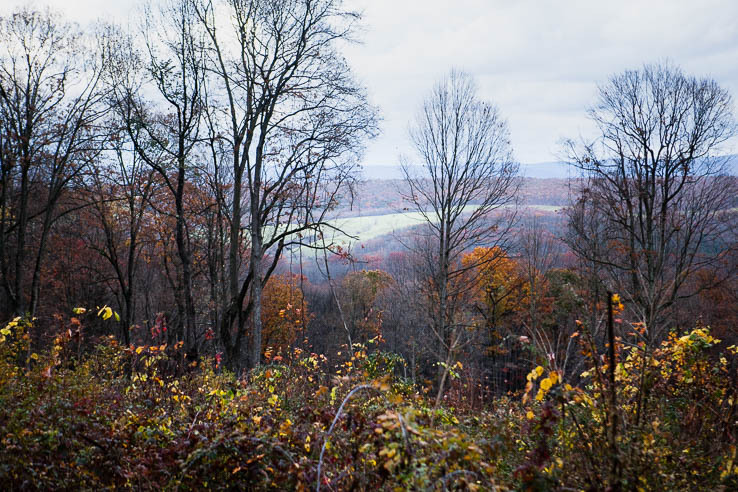 After becoming Pennsylvania Forest Stewards through a program at Penn State University in 2000, Mike and Laura began to recognize why the forest on their own land wasn’t healthy. “That really opened our eyes to forest management—things that we could do to help the property because we saw that we were getting invasive species,” Laura said. Mike and Laura Jackson stand on their 114-acre property in Bedford County, Penn., on Nov. 9, 2016. 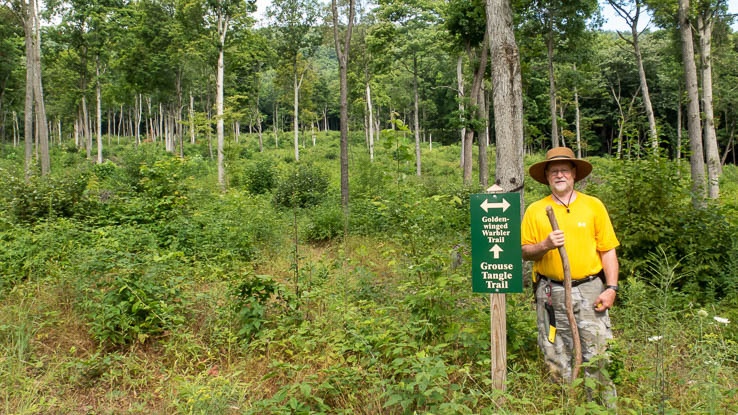 The Jacksons worked with a service forester from the Pennsylvania Department of Conservation and Natural Resources (DCNR) in 2002 to develop a ten-year forest stewardship plan for their property. Their goals were to improve forest health, control invasive species, increase native plant diversity and manage for wildlife. Meanwhile, the golden-winged warbler was listed as “near threatened” by the International Union for Conservation of Nature (IUCN) in 2004. Though Laura was still teaching, Mike took advantage of his retirement to implement what they were learning at the many classes and workshops they were attending. He built trails and wildlife amenities such as brush piles, bird houses, squirrel boxes and owl boxes. He removed invasive species like multiflora rose and Japanese barberry, and he planted native shrubs, trees and wildflowers. He applied a technique called crown release, which thins out vegetation to give valuable wildlife trees like wild cherry, oak and hickory more sunlight and room to grow. The Jacksons’ property is part of a larger area of forest that includes Tussey Mountain and state game lands. “We’re not just an isolated pocket of woods surrounded by farm fields,” Laura said. 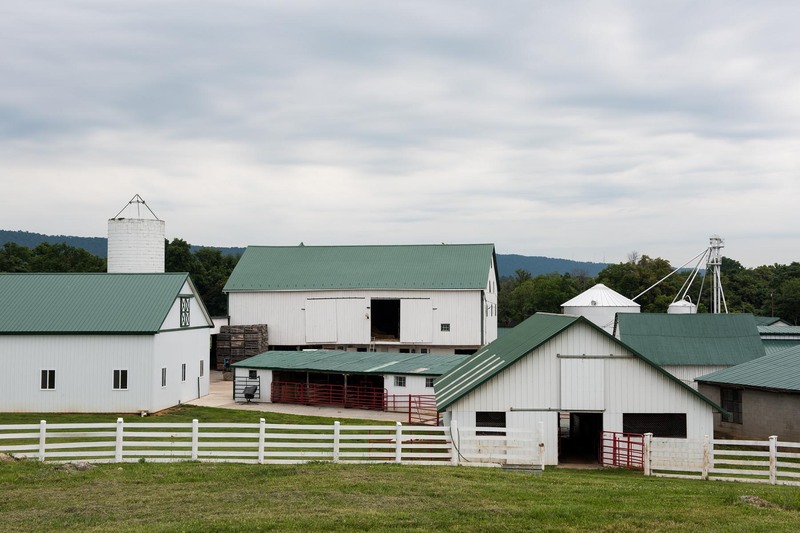 Laura said it also helped that the land is part of a roughly 9,000-acre stretch of forest that includes Pennsylvania state game lands and Tussey Mountain. “Even though [golden-winged warblers] nest in very young forest, they take their young after they’ve fledged, and they spend time in mature forest feeding and trying to teach them what to do as survival techniques.” Laura said. In late 2011, the Jacksons attended a workshop for land managers to learn about best management practices for the golden-winged warbler. They were the only private landowners at the meeting. “And we thought, ‘Wow, if we can work with people who know what they’re doing and who will try to help us with our invasive species control, we could get a healthy forest again,’” Laura said. “Which meant cutting some trees,” Mike added. 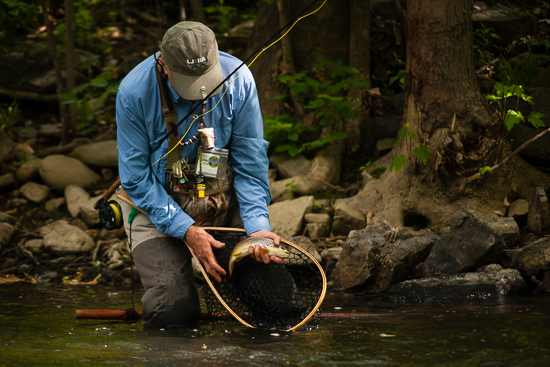 A few months later, the Jacksons invited experts from the Pennsylvania Game Commission, Western Pennsylvania Conservancy, DCNR and Indiana University of Pennsylvania (IUP) Research Institute to look at their land. They determined it was a good fit for a golden-winged warbler habitat restoration project. With support from the Game Commission, a forester returned to mark which trees to keep inside a 27-acre area, then invasive plants were treated with herbicide on all 108 acres of the Jacksons’ forest. Mike and Laura interviewed a number of loggers before settling on a company that uses low-impact methods to remove trees. The cut unveiled at least one surprise on the Jacksons’ property. 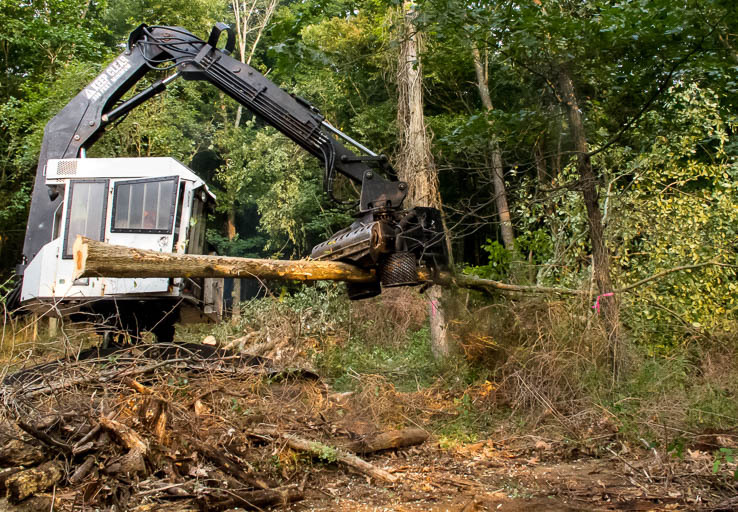 Funding for the logging came from the Environmental Quality Incentives Program (EQIP) through the Natural Resources Conservation Service (NRCS) Working Lands for Wildlife program. NRCS also paid for a fence around the restoration to keep out deer, allowing new plants to flourish. “I was just surprised it came so fast,” Mike said. Where the Jacksons had battled invasives for years, Mike said they are mostly gone. Monitoring for the project began the year following the cut, looking for regeneration as well as the golden-winged warbler. The Jacksons are prepared to wait, and said it might be another three years before the golden-winged warbler returns to their property. 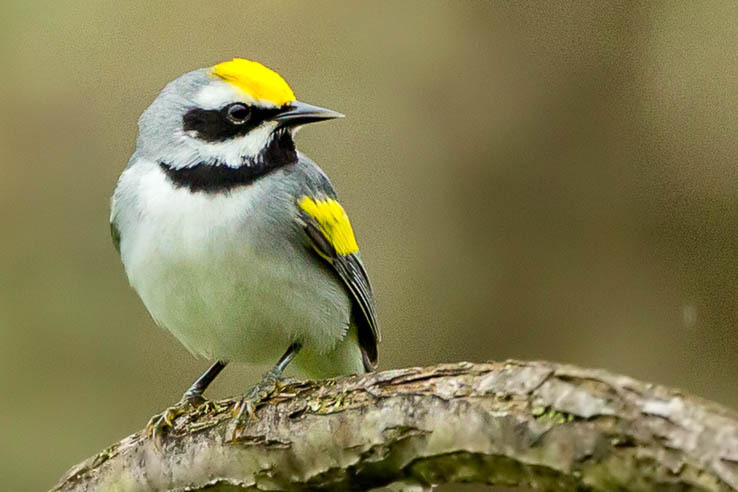 Through surveys they do for the Game Commission, they know that there is an active golden-winged warbler breeding site eight miles away, which puts them in the vicinity, even if it is still pretty far away. 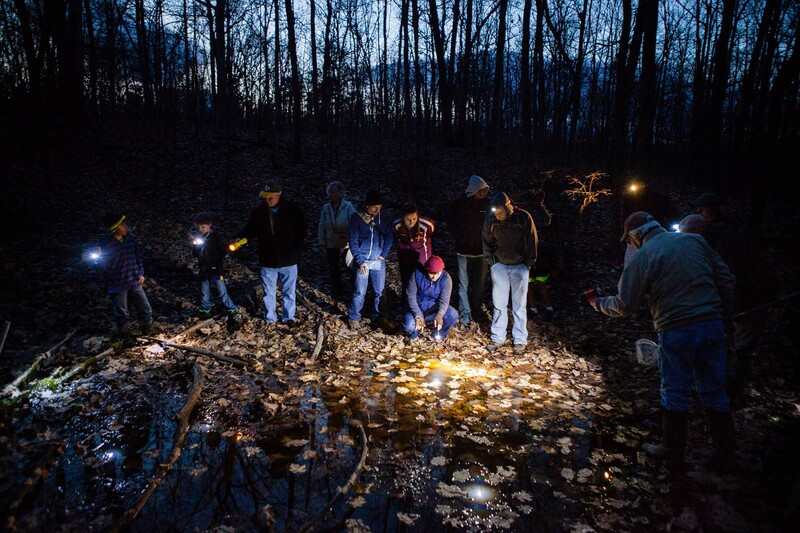 Other at-risk birds in the project area include hooded warblers, Kentucky warblers and wood thrush. Monitoring overseen by IUP Research Institute has also identified six bird species present in the project area that benefit from young forest, including ovenbirds, chestnut-sided warblers, common yellowthroats, red-eyed vireos, indigo buntings and eastern towhees. 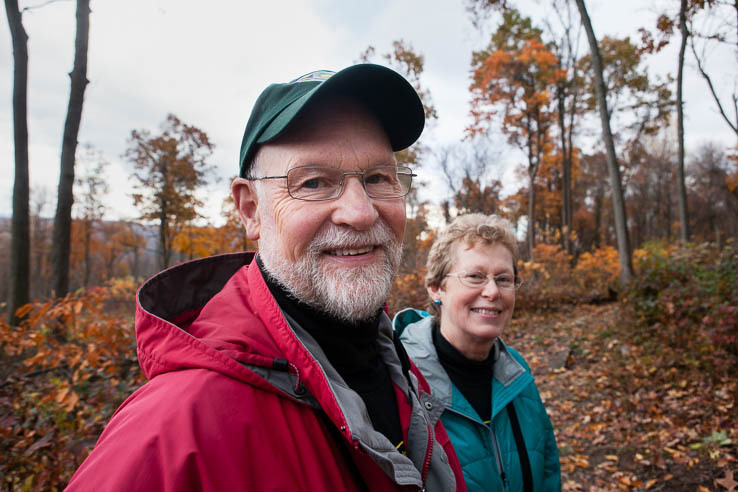 For their years of effort to restore wildlife habitat in their forest, Mike and Laura were honored as Exemplary Forest Stewards by the Alliance for the Chesapeake Bay at the 2016 Chesapeake Watershed Forum in Shepherdstown, West Virginia, last fall. Nowadays, Mike and Laura also host several tours a year and enjoy answering visitors’ questions about their property. The Jacksons’ land shows that dealing with nature can be counter-intuitive, that intervening can sometimes help it rebound. 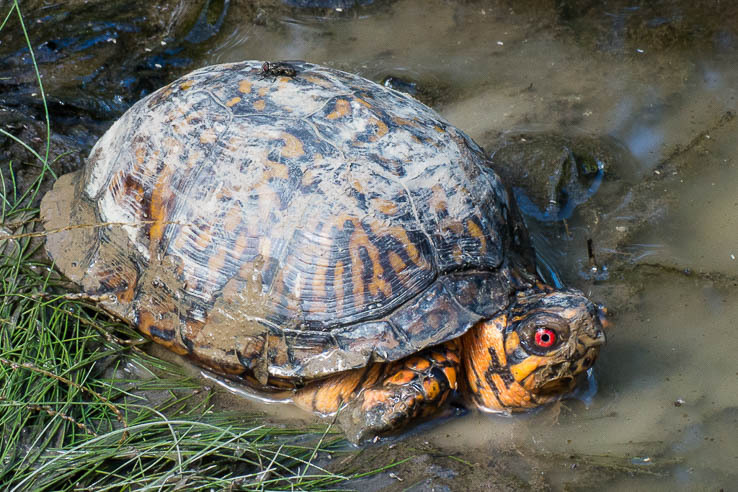 The Chesapeake Bay Program is a unique regional partnership that has led and directed the restoration of the Chesapeake Bay since 1983.